Kendra is a schoolgirl. She likes Thor. He is her favourite Avenger! Thor has a hammer and Kendra has a backpack. POP! Kendra's backpack is very heavy. Does it have powers now? 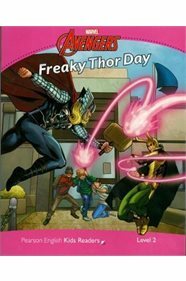 It's a Freaky Thor Day for Kendra!